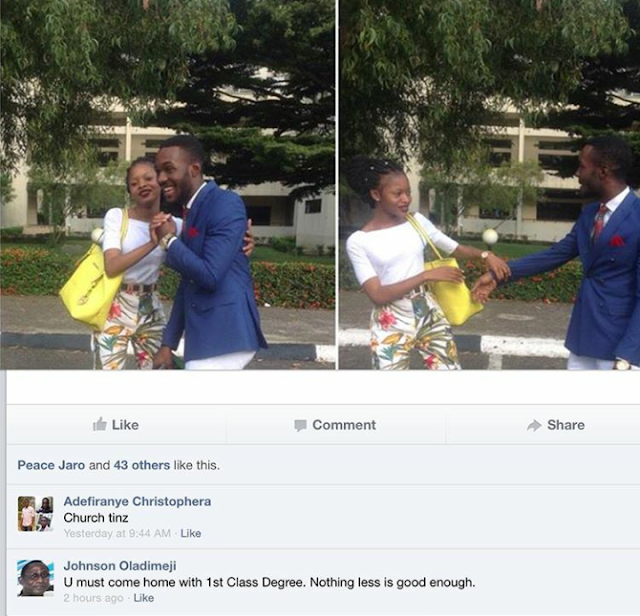 The young lady apparently shared a picture of herself with a supposedly male friend as she headed to church from her school this past Sunday and her dad saw the picture on facebook and commented on the picture to come home with a first class degree and nothing else...lol. The girl found it really funny and took a screen shot of her dad's comment and reposted on Instagram. 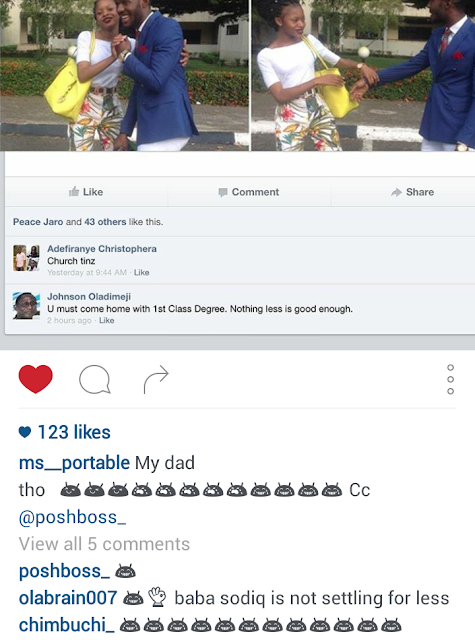 Lool.